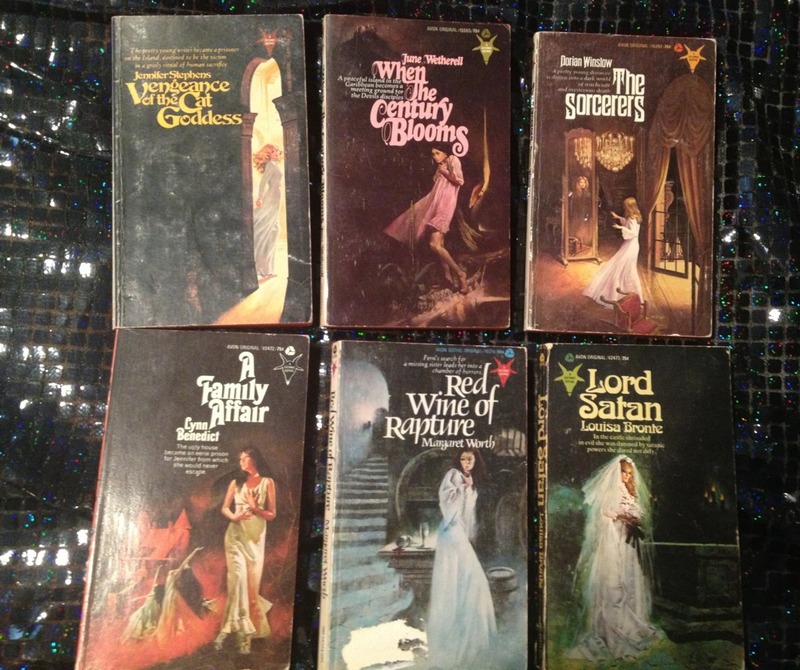 Thanks to today's mail, I now own ALL TWELVE* of the Avon Satanic Gothic romances! *I've only ever seen these twelve titles listed. There may be more out there that no one has cataloged. Do I have saved searches on alibris, abebooks, and ebay? Why yes, yes I do. Anyhoodle, Chaos was discontinued at the end of the 90s, then resurrected around 2008. I did not know this. But I have an almost-completely full bottle of Original Formula Chaos, which sells for shocking prices on eBay. So of course I decided to try it again, just out of curiosity. Dammit. I think I love it as much as Coromandel by Chanel. It smells like the best champagne cocktail ever, made with extra sugar and saturated with incense. It's similar to Coromandel (incense, vanilla, "Oriental"), but Chaos is more effervescent. . . and appears to layer beautifully with my beloved Blood Popsicle from BPAL. Sooooo I guess I'm just going to cycle between three perfumes to layer with the BPAL: Angel, Coromandel, and now Chaos. Excuse me while I laugh at myself and my cliches. 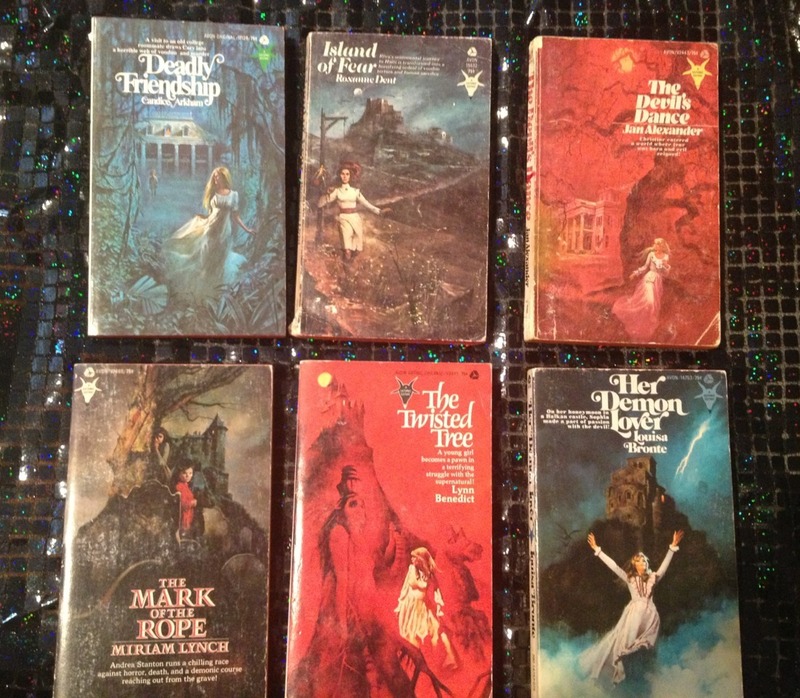 Speaking of cliches, I am now TWO books away from having a complete run of the Avon Satanic Gothic line! Whoo! 2: Stuff. Things. State of the Cupcake Goth. 4: But now, wardrobe dithering!